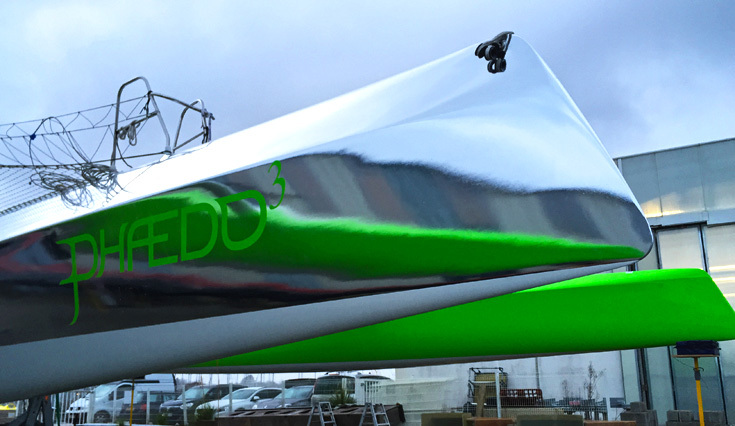 Phaedo3 70ft racing Trimaran full chrome and electric lime green wrap. Phaedo 3, the 70ft Trimaran, sets the Rorc caribbean 600 course record following it’s launch in Antigua. 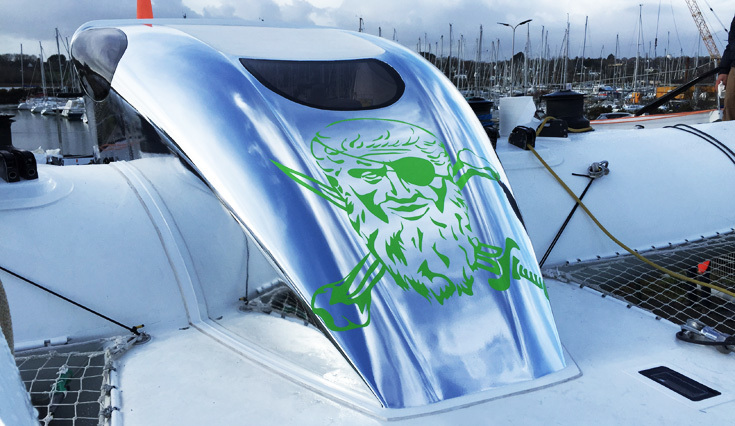 The Wild Group team were commissioned to wrap the ‘racing weapon’ in chrome and electric lime green in Brittany. “Really pleased to be involved with Brian and his team on this fantastic project. It’s a great demonstration of the different effects that can be used with vinyl films and foils and just how striking a result they can achieve. 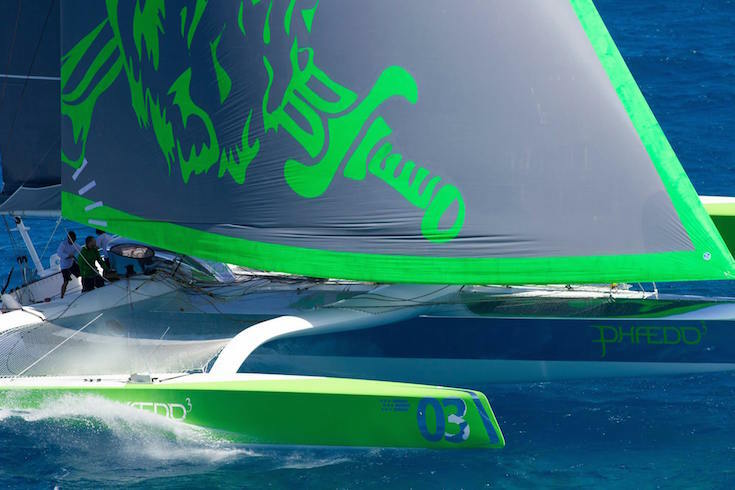 Well done to the Phaedo3 team!”, Comments Greg Hoar.